Hospitality Sundays are a ministry of our Hospitality Team designed to offer an opportunity for parishioners to gather, eat, and connect over appetizers, coffee, and donuts. Hospitality Sundays occur after all weekend Masses in our parish hall under the church. Click here for more information and the complete schedule. Parish socials occur throughout the year and include ice-cream socials, movie nights, a Mardi Gras Event, and various school functions–a Family Fun Fair, Golf Tournament, and Bluefest. Every new parishioner of St. Margaret Parish is contacted directly by our Coordinator of Parish Services, Robert Cermignano, who will personally welcome them to the parish. 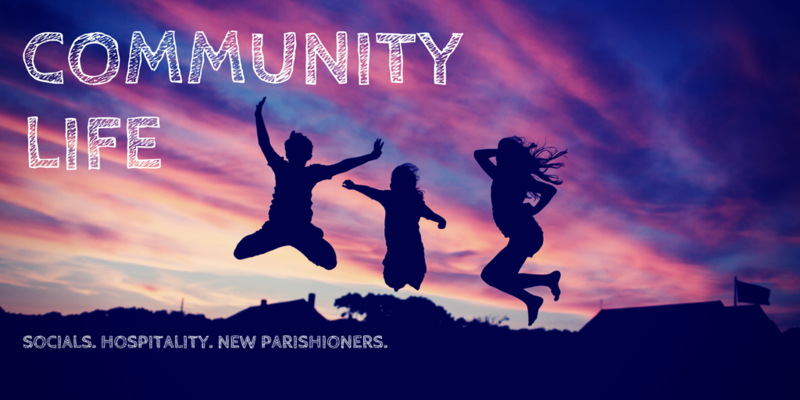 New Parishioners are immediately invited to join one of our parish ministries. Families are informed about all opportunities for children and parents both inside of and outside of the Mass, including Children’s Liturgy of the Word (CLOW). Lastly, new parishioners are invited for our New Parishioner Welcoming Committee to contact them and meet them at Mass and hospitality. 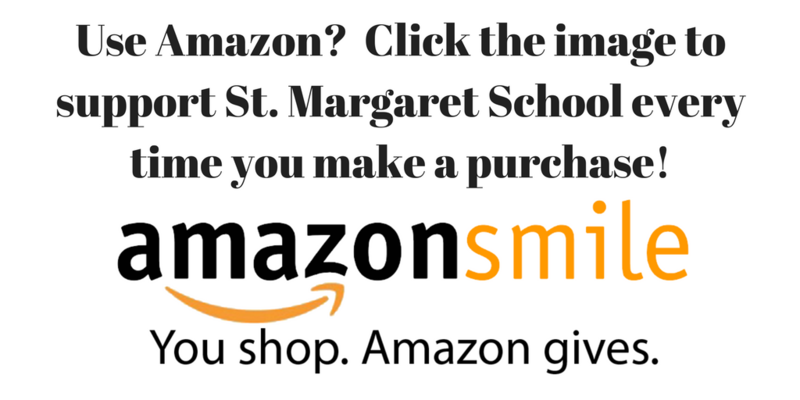 Every Friday during Lent and following adoration and Stations of the Cross, St. Margaret Parish invites parishioners to gather for food and community in our parish hall. Pot-luck style dinners, snacks and drinks are available. All Soup and Stations are kid- and family-friendly. 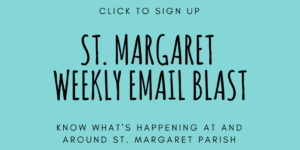 All community life events are regularly advertised on our parish website, weekly email blast, and school email blast and the weekly parish bulletin.